Scan from ScotchInformer and Redon. The genre is: dramatic, "free field", and action. The current platform it will release on in Japan is PlayStation 4. It's unknown if it will come to other platforms either in Japan or internationally. 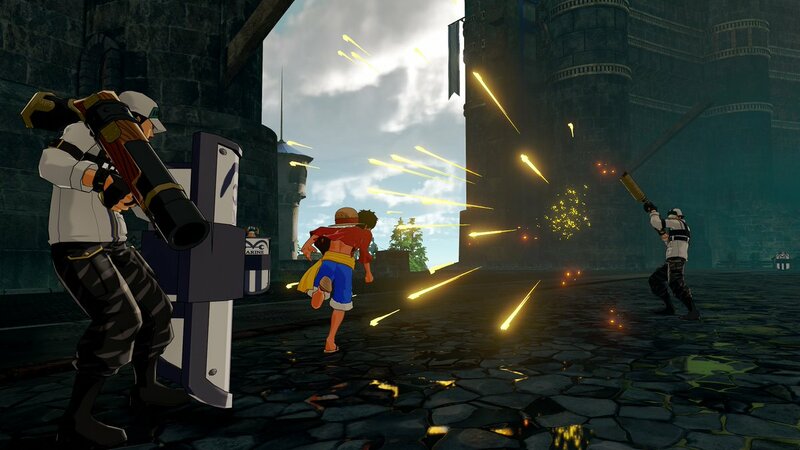 "World Seeker" has been trademarked in the United States and Europe, so an international release is expected. Last edited by MasterKingJC; December 8th, 2017 at 10:46 PM. The art direction doesn't look very...."One Piece". I am the Sniper King! I agree bro, but gameplay > graphics. Yeah, cannot agree more. I just want meaningful exploration and satisfying combat system (Not asking for CUHRAYZEE stuff like DMC/Bayonetta, just make it deep enough). Last edited by All Fiction; December 7th, 2017 at 03:47 PM. i agree. the environment is something that i'll expect from a game like witcher or skyrim, it is not one piece-y enough. but we'll see. do we have a confirmation on the genre? looks like an action rpg to me. If they treat Gum Gum UFO/Balloon like the glider in Breath of the Wild, this could be amazing!! It doesn’t look animated enough. Updated the OP with the HD scan. I'm excited :D Can anybody identify the person Luffy is hitting on the frame that is in the bottom right? So the game, to me, looks a lot like Unlimited World Red. Hopefully it isn't as that was a watered down version of the Wii games. Honestly, I really miss having a One Piece game I really like. I think, the last game I was really into, was Pirate Warriors 2 (only when I played MP with my brother). I didn't play 3 as it was a story rehash (do not like) and I wasted money on the first 3DS game and Burning Blood (I barely played it, hated it immediately). I really hope this game is good (at least, in the sense that it is really fun to me). This the background on the website. I can't get the very bottom one, but it's just the marine headquarters I think. From what I'm seeing/reading it is a new huge world you can explore to your hearts content and you can fight using Gum Gum powers as well. Says you can look down on villages while using Gum Gum UFO so I take it you can glide or something. Genre is actually Action adventure. The other words are just nice buzz words. "HUNGRY FOR MORE ADVENTURE! Get ready to experience a brand new chapter in the epic ONE PIECE saga. 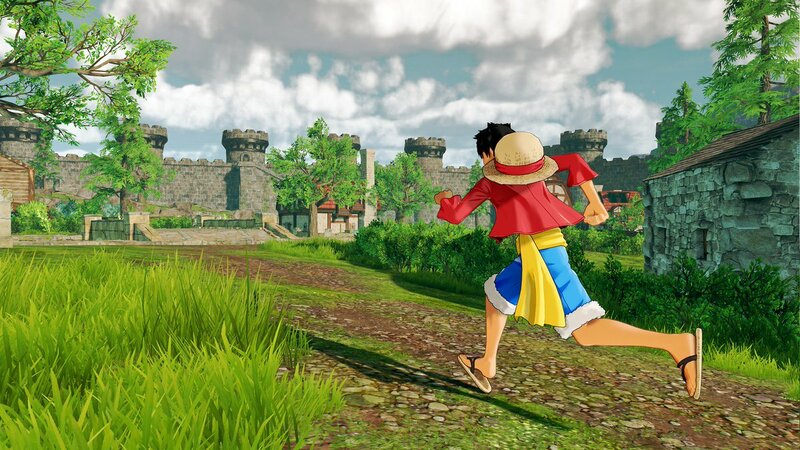 Luffy and the Straw Hat Pirates return in ONE PIECE: World Seeker. This open-ended action adventure is coming to PlayStation 4, X1, and PC in 2018. Well, all hype completely deflated. This will be another generic low budgety anime game. Developer and screenshots only prove it. Shame they couldn't give cc2 for example a nice budget to finally make a game op deserves. 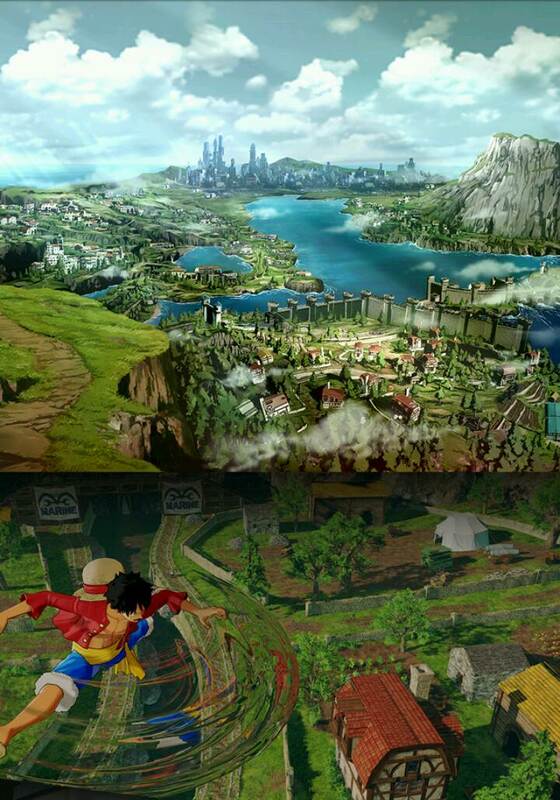 Sub par developer, only playable luffy,uninspired landscape in a series full of wonderful ones. Unlimited World was also subpar, but at least it blended the characters artstyle with the environments better. 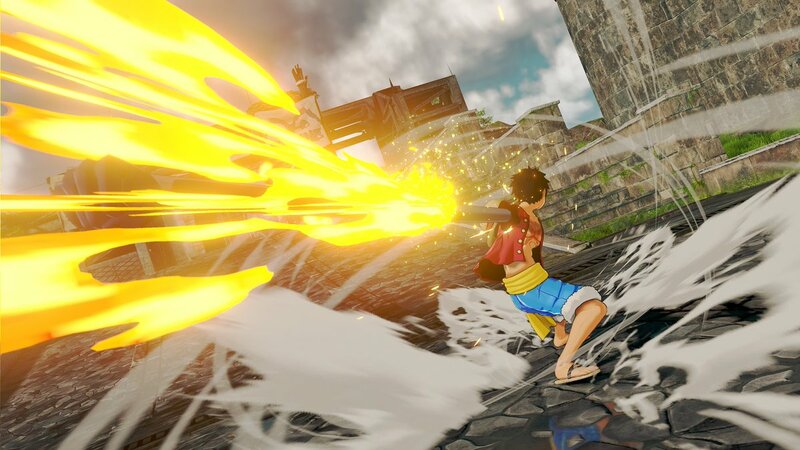 This looks as if they dropped Cel shaded Luffy into a generic more realistic looking landscape. Last edited by MajinArekkusu; December 11th, 2017 at 09:26 AM. Looks like a bigger Unlimited Red game. Is Luffy only confirmed because that would just be an instant 'nope!' from me. Nothing wrong with Luffy I just like the variety, and if they could have all the crew in Unlimited Cruise then why not this?